Playbook #5: Prioritizing Digital Initiatives Smartly Digital initiatives can bubble-up from various parts of the organization, be ordained top-down or – more often than not – come from both directions at the same time. For this reason it is very important to gain an understanding of the programs and projects that are implementing digital business solutions and how these are changing the architecture of the organization. This transparency helps to expose redundancy in projects as well as provides a tool to coordinate them. This is also the basis for making decisions on which programs should be prioritized and which to stop. Knowing the project portfolio means to assess it from different perspectives such as business value, architectural impact and the risk involved. In this playbook session we show how the project portfolio can be optimized smartly and how to compare project portfolio scenarios for their impact on the digital business strategy. 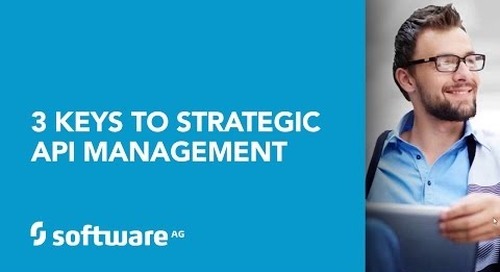 To learn more please visit http://alfabet.softwareag.com/.